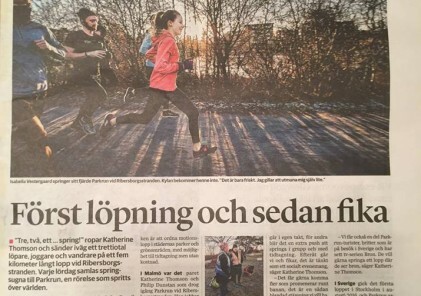 We have over 100 new people signing up for parkrun in the Nordics each week, a number which will be certain to grow as we move into the spring and warmer weather. And many of these new runners are full of questions of how everything works at parkrun – what happens when I show up on Saturday and how on earth can it be free?! Here below are the answers to those questions you wanted to ask, but perhaps never dared……..
I’ve never been to parkrun before, how does it work? It’s very easy! If it’s your first time at parkrun, it’s a good idea to show up maybe 15-20 minutes before the start, so you have a chance to listen to the briefing that we do for new runners, and have a chance to chat to the volunteers, who will make you feel at home. Everyone starts at the same time, and completes the course at their own pace, whether that’s running, jogging or walking. When you come over the finish line, you’ll get given a little finishing token, which has a little number on it, which corresponds to the position you had in today’s parkrun. You take this and your own personal barcode to get scanned, and that’s it, you’re done! 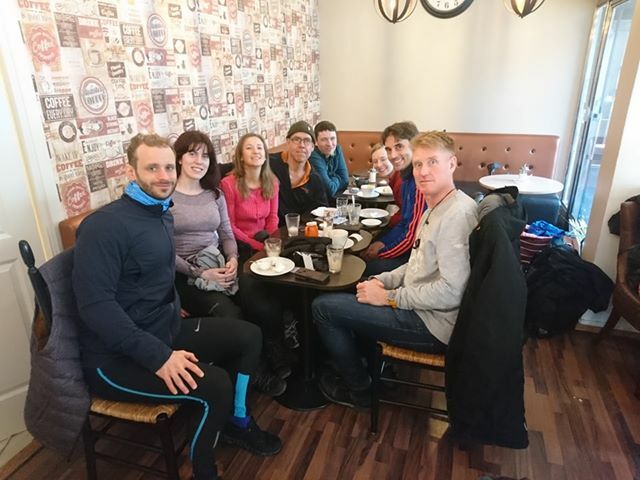 Now it’s just to have a chat with your fellow runners and make your way to the café for a coffee. Here’s a little video which shows how things work in practice. How do I get my time if I don’t have a timing chip? - a stopwatch, where we press a button and record the time when every runner comes over the finish line. - numbered tokens, which we give out in order to the runners as they cross the line; i.e. the first runner gets token number 1, the second runner over the line gets token number 2 etc. - a scanner which we use to scan the runners’ own barcode and the token that they’ve received after they have crossed the line. 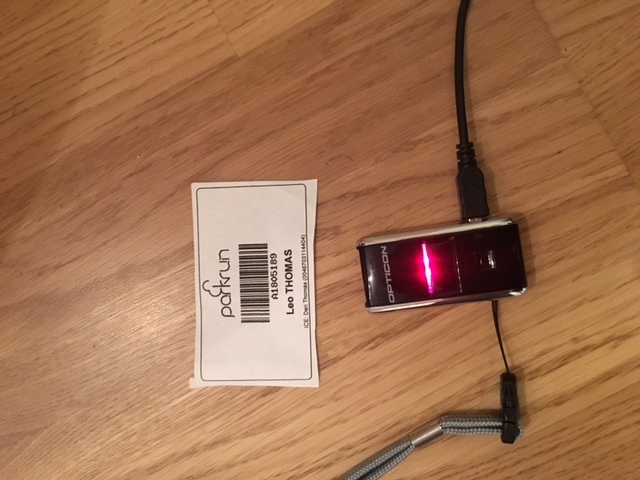 Both the stopwatch and the scanner have USB connections which we use to download the timing & scanning files to a computer where we then use some parkrun patented software to merge these files and allows us to process the results. How come parkrun is free? What’s the catch?! There’s no catch! Each event is organised by volunteers, and the ongoing costs for each event are minimal. parkrun HQ, which is based in the UK, helps to support events around the world, with the considerable and growing costs associated with the IT infrastructure required to support over 1600 events and over 300,000 run performances each week. Here sponsorship has been vitally important to help fund the team and keep parkrun free for everyone, forever. We’re also extremely grateful for the support of our local sponsors, whose contribution have helped with the initial costs for equipment for each event (for example the stopwatch, scanners and tokens mentioned above). Thanks once again Causey Westling for your ongoing sponsorship and for Salming Sport’s support in 2018. Is the course really 5km? Yes, we get the distance of our course checked by an official course measurer to ensure that they’re exactly 5km long. But remember that we’re not a race, we’re a friendly run where how fast you are is the least important thing for us! Why do I have to bring my printed barcode? One of the most common questions we get! So much so we even wrote a blog piece about it. In short, it’s the one thing that we ask people to bring to parkrun, so don’t forget your barcode! And if you don’t have access to a printer, ask your event team on email or ask in the parkrun’s Facebook page and we find that there is usually someone who will help in the friendly parkrun community! 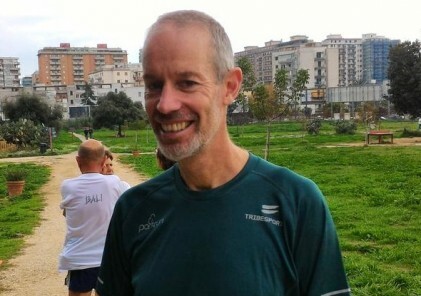 Can I use my barcode at other parkruns or does it only work at my usual event? 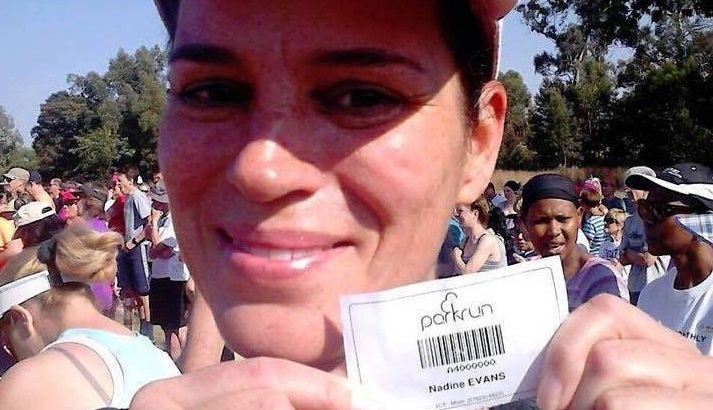 Your barcode works at every parkrun around the world. It’s your passport to over 1600 events in 20 countries around the world. Nobody is forced to volunteer at parkrun – it’s exactly what it says, it’s voluntary! Some people volunteer every week, some people never volunteer, and some people volunteer occasionally. We want to highlight that volunteering can be fun and rewarding for lots of reasons – it’s social, it’s rewarding, it’s fun to encourage all the people taking part and it’s nice to give something back to your local parkrun. You can volunteer when you want to – if you’re injured, if you have a race later that day, if it’s your turn to look after your kids while your partner runs, or if you just feel that it’s a good time for you. You decide. I love parkrun! What can I do to help? Great that you enjoy parkrun! There’s lots of ways you can help. First of all, keeping spreading the word about parkrun! Word of mouth is our most effective way of getting new people to discover parkrun. Then if you like you can volunteer at one of our events – there’s lots of different tasks to do, they’re very easy, and you’ll always be shown what to do. And if you really love volunteering, then why not become a Run Director be in charge of your local event one week? Now you are really making the parkrun magic happen!